The new F/S1 option has a long "hover" (1ips) super slow sinking head, seamlessly integrated into a floating rear taper and running line. This is a fantastic line for swinging just under the surface with small light flies that tend to skate and for windy days when the wind can affect the swing. It is a deadly line for Atlantic salmon and summer steelhead. 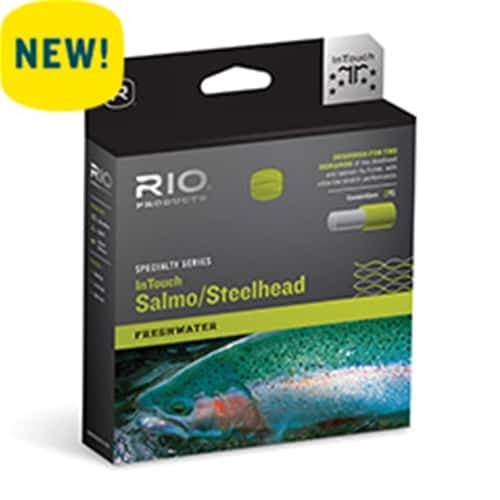 Rio makes a great fly line and this one is no exception. True to form this line performs well on my 10 weight, turning over big flies without an issue. This line should be perfect for my upcoming Alaska trip. I have had great results with Rio lines in the past and this line looks to be the same high quality product. Thank you Wyoming fly fishing!